The ideal candidate for the heavy duty mechanic position will have at least five years of experience as a heavy duty mechanic, as a journeyman heavy equipment technician or have their truck and transport mechanic certificate. Non-ticketed experienced applicants will be considered. A Class 1, 3 or 4 valid Canadian driver’s license in good standing is preferred but not required. 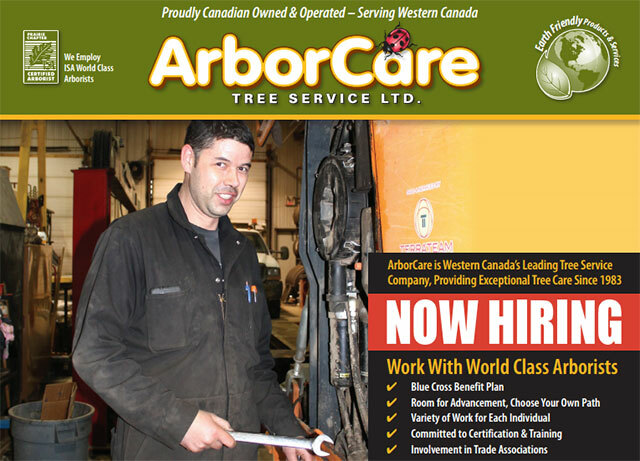 Send your replies to Hailey Kathryn at careers@arborcare.com or by fax at 403-272-1536. Please note that phone applicants will not be accepted.